In France, Christmas is a beautiful, festive time of year. French Christmas traditions share some similarities with other European cultures and yet has it’s own unique ones as well. 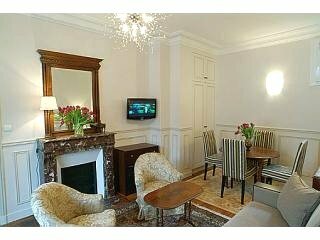 The lights and festive atmosphere that permeates the country dispels the early dark days and cold weather. 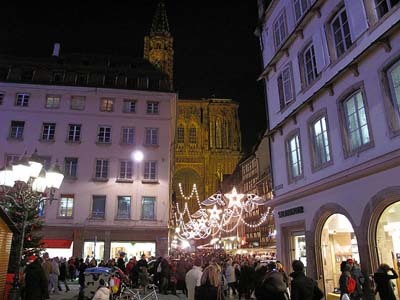 Christmas in France is an exciting time of year, a great non–touristy time of year to visit and wonderful immersion into French culture. There are French holiday traditions shared by the whole country and those distinct to the regions. 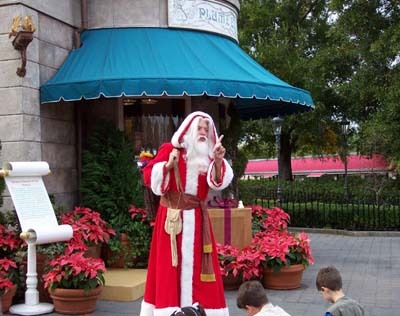 Paris at Christmas is a great time to visit with all sorts of fun things to do and see. Christmas school holiday of 2-3 weeks. Families often go to the Alps. 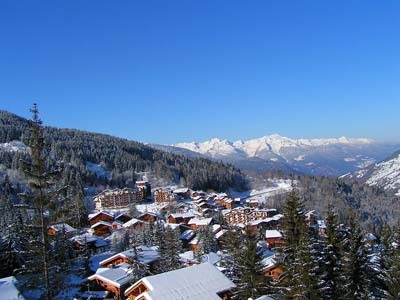 The Alps are one of the famous places in France for a skiing holiday or they head to the South of France for warmer weather often on or near French Riviera beaches . From the Paris department stores to the smaller city and town shops of France everyone is out and about purchasing gifts for their friends and loved ones. French supermarkets are stocked with food and delicacies as well as hard goods. 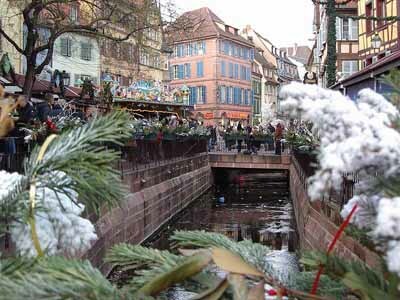 French outdoor Christmas markets can be found in the center of villages and towns. They offer hand made gifts, flowers, Christmas trees, decorations and specialty food items. 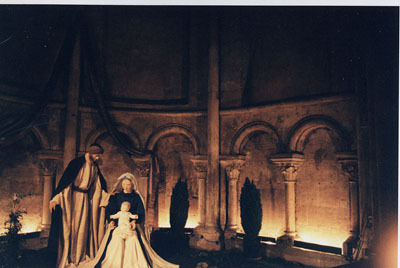 Crèche – In homes and churches, the most important Christmas symbol in France. Christmas Tree – usually a fir tree of some kind. Decorated a few days before Christmas and lit only on December 25. Mistletoe – An ancient Celtic traditions and a symbol of good luck in France. If you stand under it you will be kissed. The Christmas Rose (hellebore) decorates the Christmas table in some parts of France. An event that even the non-Catholics attend, although France is 85% Catholic. Music with French Christmas carols sung starting at 11pm with Mass beginning at 12 Midnight. I love singing French Christmas carols. It's a great way to brush up on your French and sing along in church. The Réveillon, “the awakening” or “staying up all night”, is the Christmas feast eaten after Midnight mass. It can be a lavish multi course meal. Little kids are in bed. Traditional Christmas food includes the stuffed goose or turkey. And one of the famous French desserts, the buche de noel (bûche de noël) is served for dessert. Those not inclined to staying up all night; serve their Christmas meal the next day, often at Noon, as is the custom of my French in-laws. For your own Christmas feast, learn how to make buche de noel (Yule log) with this easy yule log recipe..
Père Noël (Father Christmas) is a skinny guy with a grey beard carrying a sack, leading a donkey who helps him carry the gifts. In some regions he wears wooden shoes. So, you guessed it, he walks rather than fly through the air in a sled. One of the Christmas traditions in France is for the children leave their shoes under the tree Christmas Eve with a snack for Père Noël and a treat for the donkey. The morning of Christmas day in France the shoes are hidden under a pile of presents. According to Christmas traditions in France sometimes the grown ups exchange gifts New Year’s Day instead of Christmas. The last vestige of French Christmas traditions of the season comes early in the new year on or near Epiphany. One of their famous French desserts, la Galette des Rois (Kings Cake) is served. This cake celebrates the visiting of the three kings to the Christ child.